We all have our favourite memories of our favourite cities. Perhaps they’re of warm croissants on a cold morning in Paris; late night Chinese food in downtown New York; or fresh coffee in a hidden piazza in Rome. They are those few special moments that come to characterise an entire stay in a sprawling city; a small collection of instances, glimpses and sights that make up our own personal guides to these many places. I too have a favourite memory from a favourite city. It was June 2009 in Oxford, and I had finally completed my university finals. Deliriously happy that I was free not only from anxiety-fuelled study, but from the archaic outfits that the University insists you wear to sit an exam (there’s nothing like sweating into a twelfth century inspired gown to really give those exams an extra edge), I decided to head into the city. Grabbing my elderly bike, I cycled over to a sunshine lit Banbury Road. I can’t be sure, but it’s likely that bluebirds landed on my shoulders and whistled with me, as I rode along. Half way into my journey, I noticed that my handle bar felt a little peculiar: bulging and swollen. Naturally, I squeezed it tighter. A loud ‘POP’ followed and a warm liquid violently splattered over my face and body. It was in my eyes and up my nose; possessing the distinct aroma of something that had died long ago – in a drain. I squinted downwards to see it was a luminous orange; the gruesome love child of stagnant rainwater and a rusting handle bar. Swearing loudly, I realised I’d have to turn back. I looked like I had vomited on myself. Wheeling my bike (let’s just call it ‘Judus’ for now) onto the pavement, I walked slowly back up the hill – people staring at me and holding their noses. I looked like something that had emerged from a swamp. Eventually, I rounded the corner home and found Claire. She stared at me, stunned, for a few seconds, before starting to laugh. The now drying orange liquid making my hair stand on end, I started laughing too. I think we laughed for around 15 minutes straight, doubled over trying to breathe. I remember having to call it a day when I thought I’d cracked a rib from all the hilarity. Oxford may be a city of stunning architecture and dreaming spires, but it’s also a city where once upon a time, a handle bar exploded over a 22 year old girl. Step aside notable Oxford University alumni: there’s a new star in town. 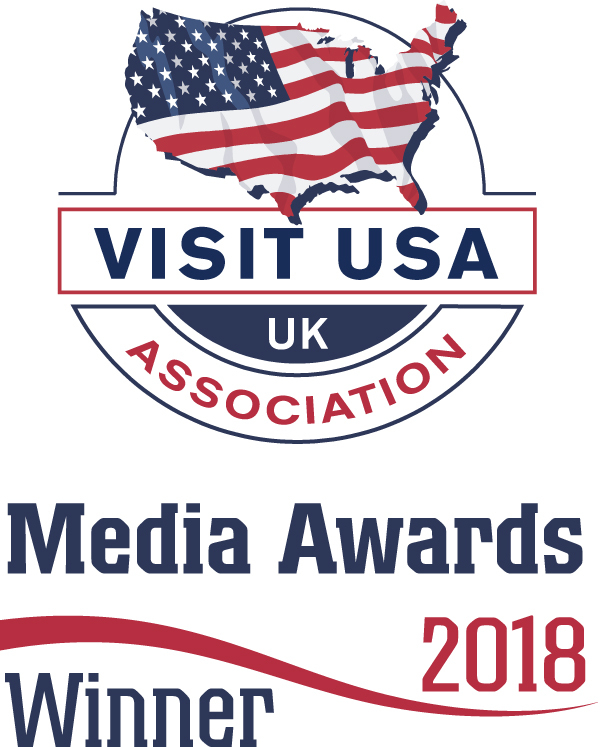 What I hope my hilarious anecdote demonstrates is that in and amongst our favourite cities – their leading museums, Michelin-starred restaurants and famous tourist spots – are hundreds upon hundreds of personal memories, experiences and moments. Moments that give these cities a feeling of warmth and familiarity. Something that official guidebooks can lack. 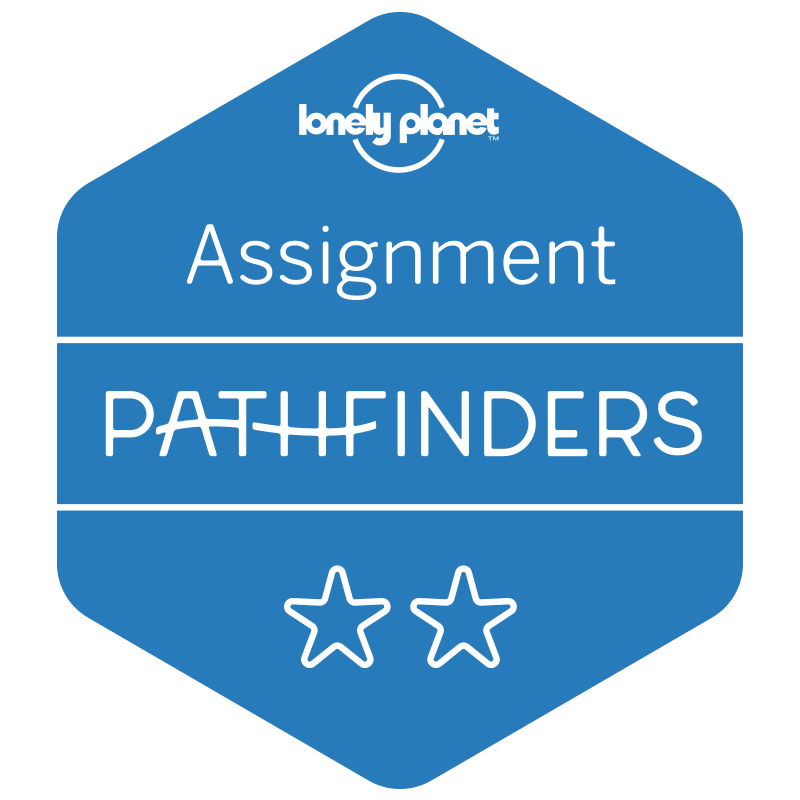 With this in mind, our friends over at P&O Ferries are on a mission: a mission to create the best guides in town. 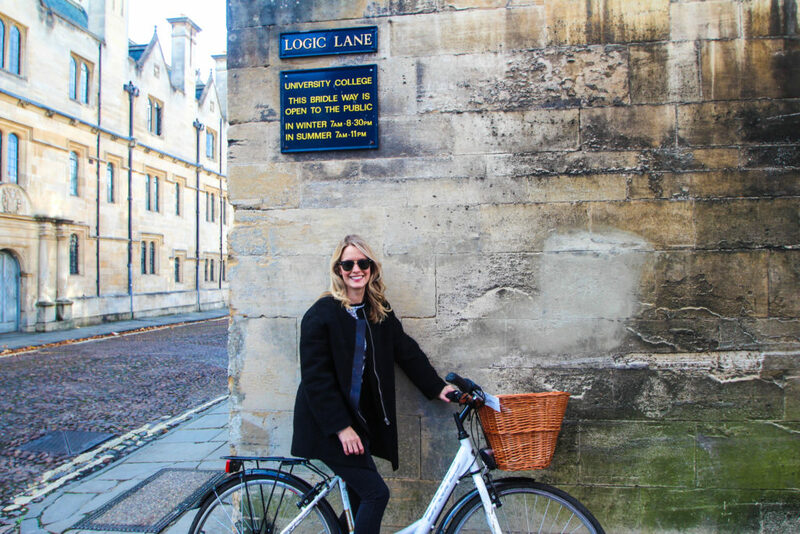 As part of their Rediscover Travel campaign, these guides will be filled with personal and authentic recommendations, suggestions and memories (exploding handle bars included) – a true local’s guide to Oxford. Having studied and lived in Oxford, we jumped at the chance to write a guide to this beautiful city, along with the help of our followers. Thank you to everyone who responded with their suggestions on what to see and do when in town, they were brilliant. And so, without further ado, here’s our guide to Oxford – filled with our, and many of your own, recommendations. Oxford needs little introduction. Home to one of the world’s most famous universities and romantic skylines, it’s a city of bicycles; ringing bells; hidden college cloisters; sprawling meadows and cobbled pavements. Come the summer and the city is filled with picnics, punting trips down the river and wisteria covered colleges. In the winter, the stained glass windows of the colleges are illuminated by candlelight and the city’s covered market is filled with the scent of mulled wine. It’s our favourite city on earth and one we could visit again and again, without growing bored. So, where to begin? Oxford is a city of two parts: the grand exteriors of the 38 colleges that the visitors see, and the secluded world within them. If you visit Oxford without peeking inside its colleges, you’ve only seen half of this magical city. Thankfully, the majority of the colleges are open to the public, allowing you to tour (designated) parts. 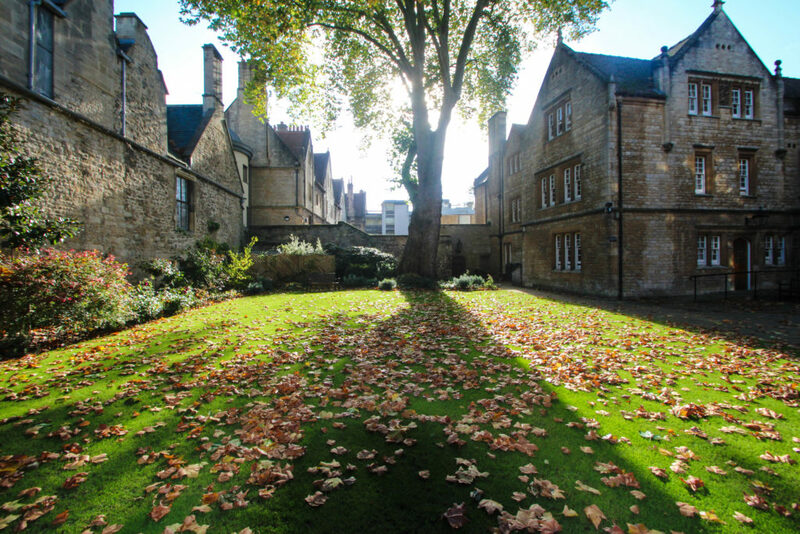 I was a student at Lincoln College – one of Oxford’s smallest, but most beautiful colleges. Founded in 1427, the college sits quietly on Turl Street and houses one of the smallest chapels, when compared to its grander peers. Dominated by an enormous stained glass window and dark cedar wood, it’s the perfect place to enjoy some peace whilst in the centre of the city. 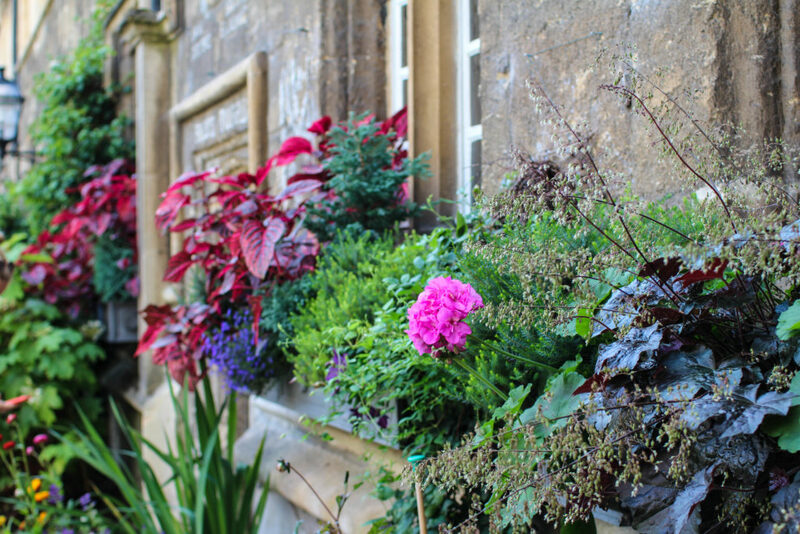 Another favourite college of ours is the beautiful Worcester College. Throughout the summer, Worcester’s 26 acres are filled with exotic trees and plants in bloom – even the odd banana tree resides here. It offers picture perfect scenes, including secret walkways and arches; perfect for anyone hoping to find their own secret garden. 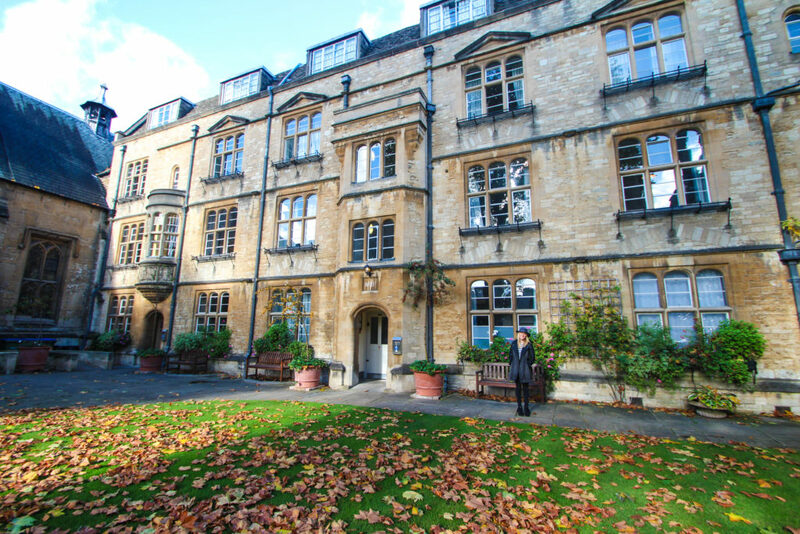 Additionally, be sure to visit Merton College – Oxford’s oldest college built in 1274. At Christmas, the college is particularly beautiful, with Christmas trees and lights filling the stone clad quads. 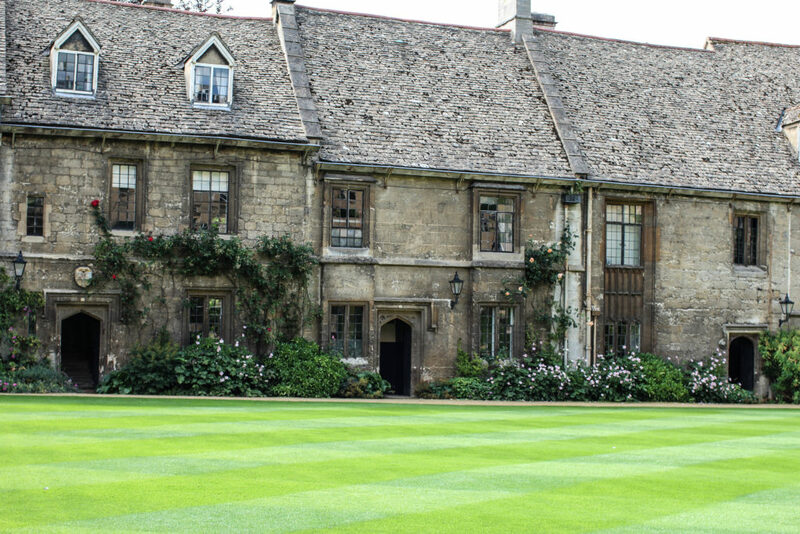 Although smaller than some of Oxford’s more infamous colleges (yes, Magdalen College – we mean you), this college housed two Kings: both Charles I and II, who sought refuge here. It has a magical feel, not least within its chapel, which features a delicate rose-inspired stained glass window. How very Beauty and the Beast. I’m sure everyone is familiar with Hogwarts School: that (fictional) grand castle, filled with creaking bookshelves, flickering candles and hidden staircases. Talking portraits aside, I’m sure that JK Rowling had one place in mind when imagining this illustrious school: Oxford. Lo and behold, if you visit the city, you’ll discover that it houses many locations used throughout the Harry Potter films. 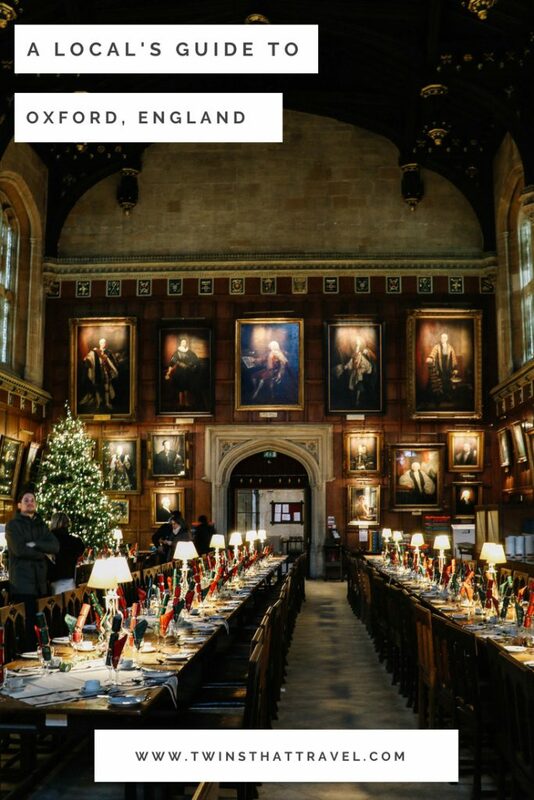 First up is Christ Church College’s hall: home to the Hogwart’s dining hall. It’s hard to believe that students casually eat their breakfast here every morning, under the hall’s soaring roof and delicately hammered beams; decorated with over 600 different heraldic images. Although it may lack a golden goblet or two, visiting Christ Church’s grand hall transports you to a magical world. Hint: use University Rooms to book your stay at Christ Church, (available throughout the holidays when the students have left). The rooms may not be the height of luxury, but they will give you fantastic access to the college and its grounds. Harry Potter’s very own library can also be found in Oxford, housed within the University’s Bodleian Library. The Duke Humfrey’s Library provided the backdrop to Harry, Ron and Hermione’s study sessions, and can be viewed as part of a tour of the Bod. It’s unsurprising that Oxford has inspired many magical stories and romantic poems. From Lewis Carroll’s Alice’s Adventures in Wonder Land, to the poetic reveries of W.H. Auden, Oxford has been the muse of many famous wordsmiths. Walking through the city and it’s obvious why. From the romantic, deer-filled parks of Magdalen College, to delicate architecture such as the Bridge of Sighs, Oxford feels like a dreamy film set. However, our favourite parts of the city are those hidden amongst the towering colleges and churches. A perfect example of this is St Mary’s Passage. Said to have inspired CS Lewis’ The Chronicles of Narnia, this little alleyway is tucked secretly away between two buildings. To find it, spot the door with the lion’s head knocker, and the two golden fawns either side.Maybe, just maybe, you’ll find yourself in a snowy wonderland on the other side. Picture the scene: you’ve bagged yourself a new boyfriend (thank you, Tinder) and you’ve decided to take him to Oxford for a day of romance. Ready to lure him in with scenes of a frozen and wintry Oxford, you head to Magdalen Deer Park – ready to hold hands and spot the Fallow deer together. How quaint! How romantic! In reality, what happened was vastly different. It was grey, drizzly and freezing, and as we walked stiffly around the park, snot poured out my nose. Beautiful. However, visit another time of year and the park is gorgeous. Also ensure you take the Addison Walk, which circles a small island in the River Cherwell. It’s particularly beautiful in the Spring. 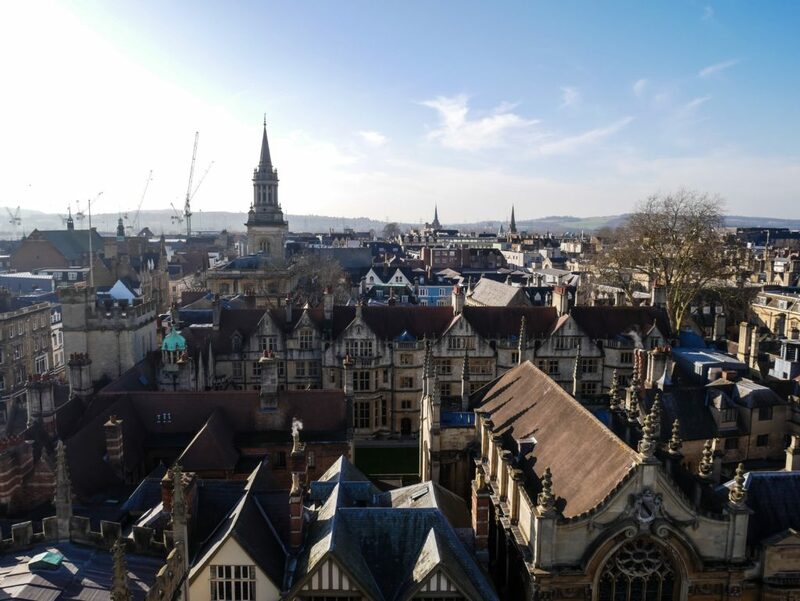 For those looking to see the dreaming spires of Oxford in their full glory, head to University Church of St Mary the Virgin and climb its clock tower. The winding, narrow staircase of the tower may well constitute a fairly intense cardio session, but the views atop the tower are well worth the panting. The view of the Radcliffe Camera Room is particularly impressive. Oxford is a hub of culture, history and – surprisingly – excellent shopping. As a kid, my family would make a regular pilgrimage to Oxford (from Milton Keynes), to visit the many bookshops and most importantly, its Disney Store. 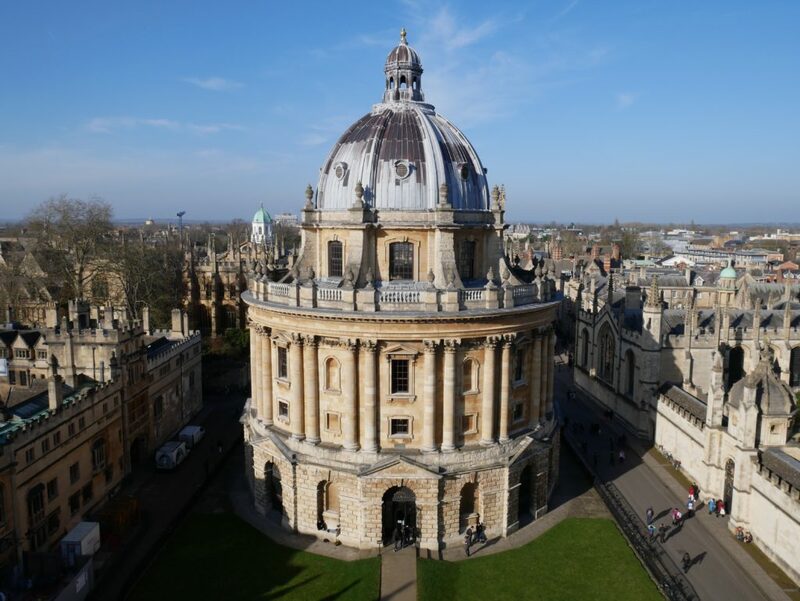 However, as a trip around everyone’s favourite children’s store may not warrant an entire trip to Oxford, below are a few other suggestions of things to do in this wonderful city. We have visited these museums more times than we can remember; but each visit has always contained a new discovery or encounter. The Pitt Rivers Museum is home to social anthropology, and is crammed full of archeological and ethnographic items from around the world. It is a treasure trove of the world’s weirdest and wonderful: including the infamous shrunken heads, tools for witchcraft and dazzling Egyptian relics. As it’s a little dark in there (it all adds to the atmosphere) you’re handed a wind-up torch as you enter, to help seek out all those hidden curiosities. The Natural History Museum is also worth a visit; reminding me of a scaled-down version of that in London. 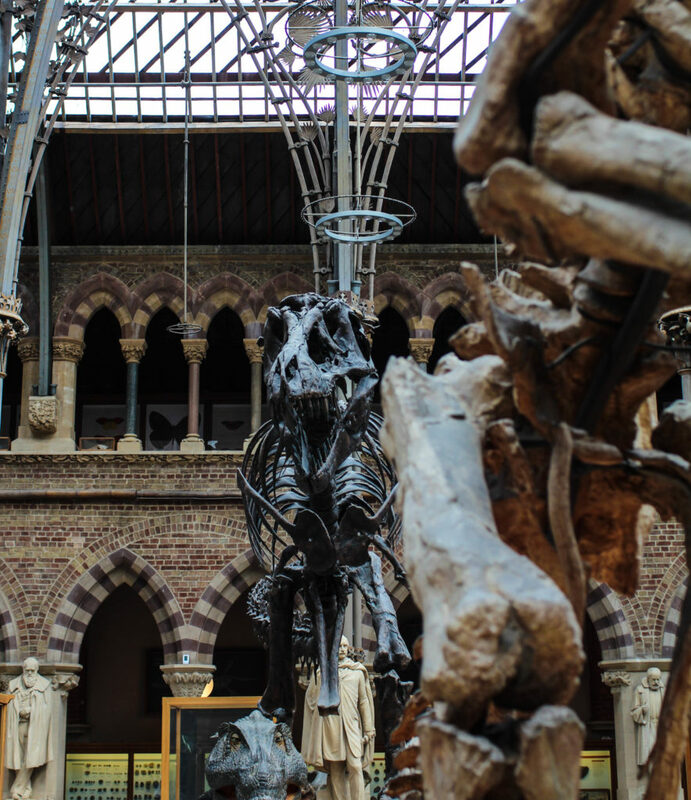 Wander its huge domed hall, to see full-scale dinosaur skeletons and plenty of taxidermy. I know, I know – it’s a little cliché, but you cannot visit Oxford without trying your hand at punting. In the summer months, grab some Pimms and head to the Magdalen Bridge Boathouse to hire your punt (or, if you’re lacking in upper body strength, a pedalo or row boat). Gently float down the River Cherwell, past weeping willows and banks of daffodils, for a truly quintessential Oxford experience. Afternoon tea in Oxford is a refined affair, offering the daintiest of china in the most beautiful of settings. We have two favourite spots to while away the afternoon over a cup of tea and some jam coated scones. 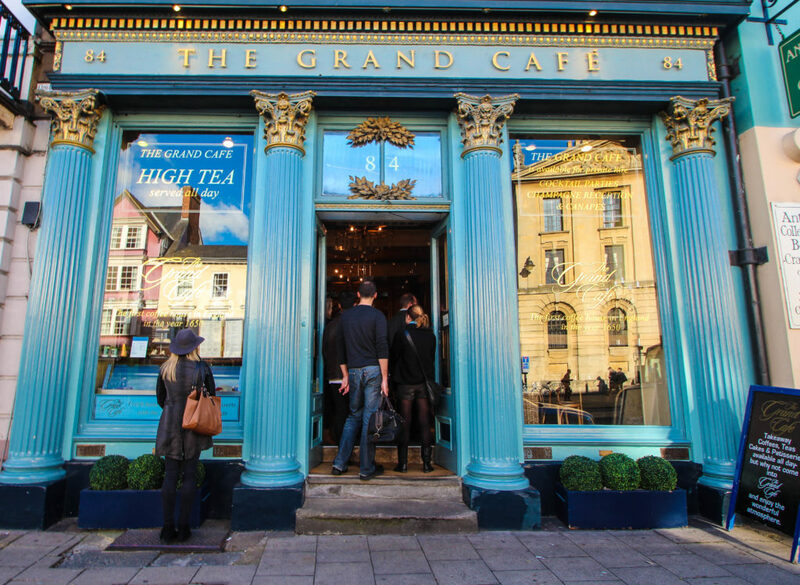 The Grand Café is one of Oxford’s most famous – and beautiful – teashops. 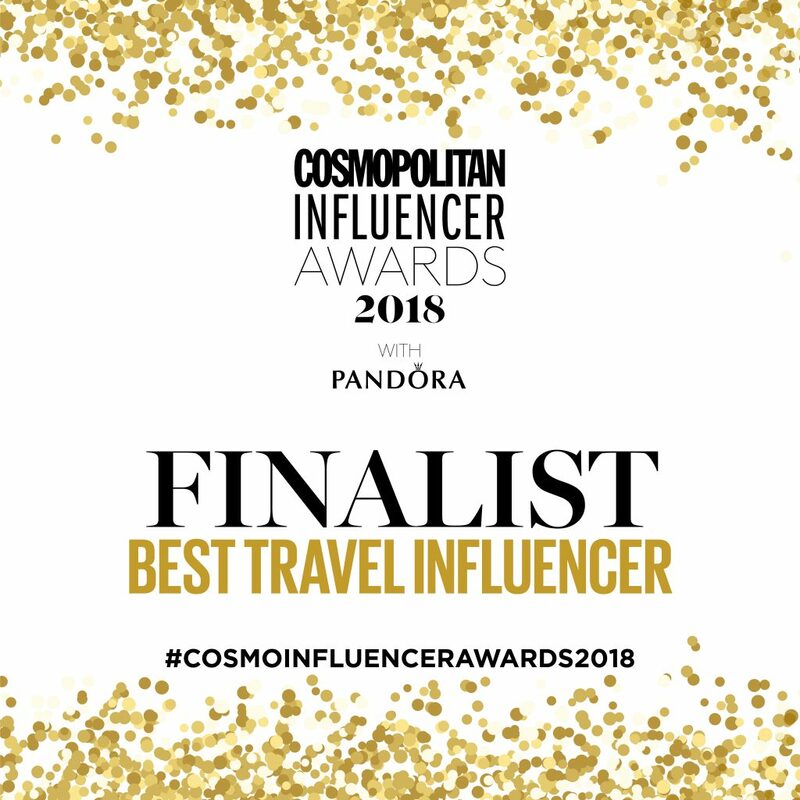 Incredibly, it is the site of England’s first coffee house opened in 1650, and offers its guests a sparkling, glittering room to enjoy cocktails, delicious food and of course, its infamous afternoon tea. Warning: as you can’t reserve a table, however, there may be a queue. If the Grand Café is full, head up towards the equally wonderful Old Parsonage Hotel: a 17th century home covered in purple and pink wisteria. It’s stunning. Oxford offers a brilliant mix of high-end shopping, alongside independent and boutique stores. In and amongst the Whistles, Hobbs and Jack Wills stores, you will also find dozens of antique map and print shops. I once spent an entire day exploring just these (in fact, two typography prints now sit proudly above my desk as a result of this). Perhaps one of the most famous antique print and map stores is Sanders, housed within a 16th century building on the High Street. Look down and you can see the cellar below through the floorboards! Another real favourite of ours is the incredibly pretty Arcadia, filled with prints, trinkets and sparkling lights for your home. They also offer a lovely selection of second-hand books. Lastly, don’t miss the Alice in Wonderland inspired ‘Alice’s Shop’ . I’ve bought many a birthday present here, ranging from small prints to Alice-inspired stationary. It really is lovely. For a relatively small city, there is an enormous amount of choice in Oxford for places to eat. From excellent British pub food, through to delicate French-inspired cuisine, the city covers all bases. Remember my Tinder date to Oxford? Once we had escaped possible hyperthermia on our romantic walk, we headed to The Jam Factory for lunch. Housed within – you guessed it – an old jam factory, this restaurant offers not only fresh food, but an art centre; perfect for any creative sorts out there. Another favourite of ours for a cosy bite to eat is the Turl Street Kitchen: a Georgian and timber-filled building, channelling a distinctive stripped back feel. It offers cosy, home-made food over long wooden tables. For a quirky place for dinner – tucked away from the city – head to the Cherwell Boathouse, for delicious seasonal food with views over the river and the many rowing boats. Lastly, our absolute favourite restaurant in Oxford has to be the ever-romantic Gees. Housed largely within a large glass atrium that is lit up at night with hundreds of fairy-lights, it’s a fantastically atmospheric place to dine in Oxford and the food is also exceptional (it was also the location of my second date with the Tinder gentleman, and where I tried to delicately wash my fingers in a bowl of olive oil, that I mistook for a finger bowl). There is nothing like a drink inside of one of Oxford’s many pubs on a cold, wintery day. With many of them boasting histories dating back to the thirteenth century, the majority of pubs are beam-covered buildings, with low ceilings, uneven floors and crackling fires. For a taste of an exceptionally cosy pub, then pay a visit to the Bear Inn. One of the oldest pubs in Oxford, dating back to 1242, it is not only fantastically atmospheric (and tiny), but is also home to over 4,500 snippets of ties from various Oxford clubs. For a little bit of modern history, take a walk across to the Turf Tavern: a thirteenth century ale house, where Bill Clinton notoriously “did not inhale” a particular substance whilst visiting the University as a Rhodes Scholar. For a little more literary history, the Eagle & Child is also well-worth a visit and was once the watering hole for J.R.R.Tolkein and C.S.Lewis: writers who formed a group called ‘The Inklings’. They regularly met here to discuss their latest literary masterpieces, over an ale. If you fancy something a little more upmarket than a pub, then there are also no end of brilliant wine and cocktail bars to sample throughout the city. 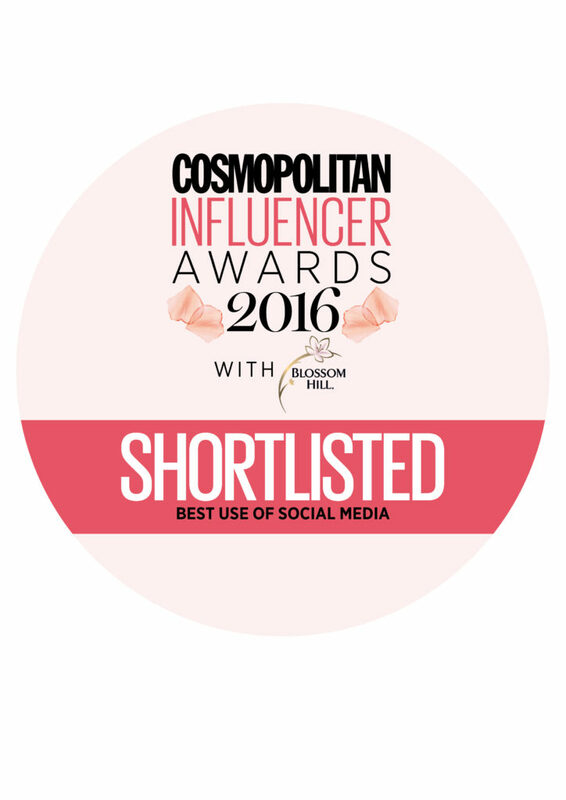 Our favourites include Joseph Perks & Co, Raoul’s Cocktail Bar and the lively Kazbar. 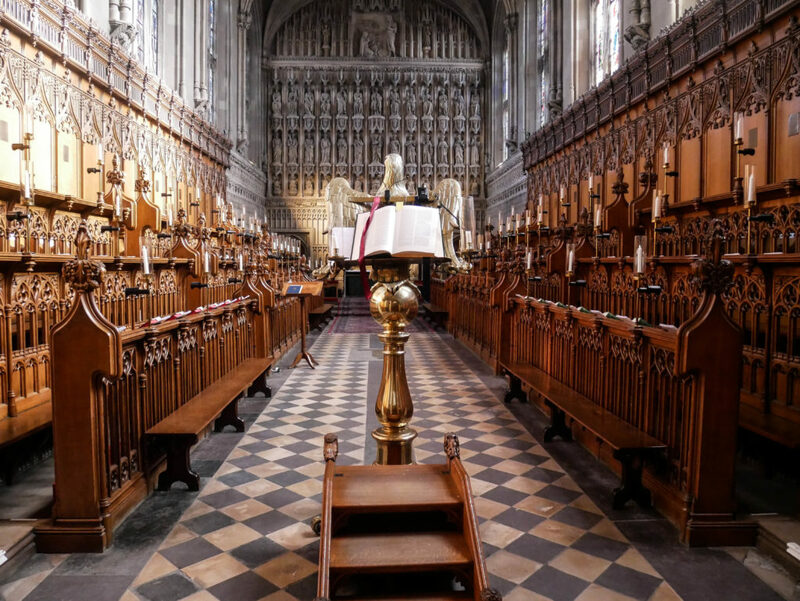 Oxford is a small city, but with more history hidden away in one of its many colleges, than in much of the wider UK. 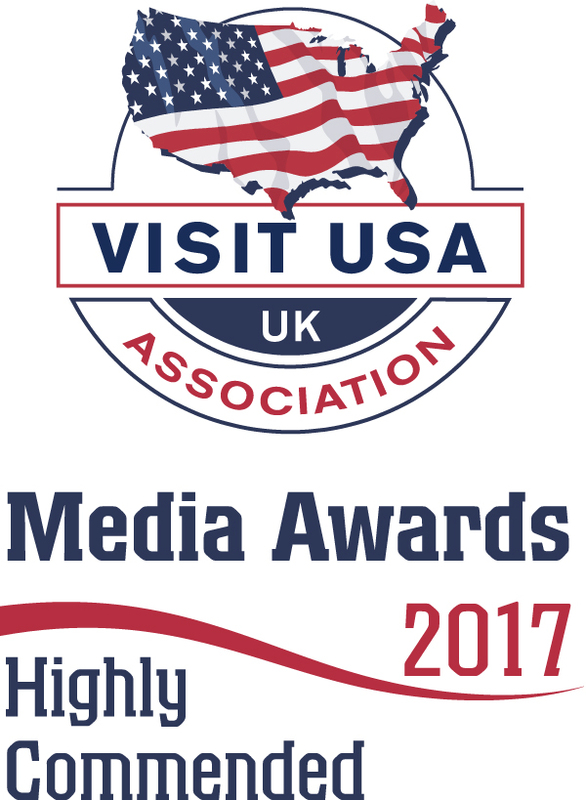 It’s a British institution – a place where the traditions, histories and customs of the twelfth century, continue to thrive. It’s as British as David Attenborough and the BBC. Maybe even the Queen herself. 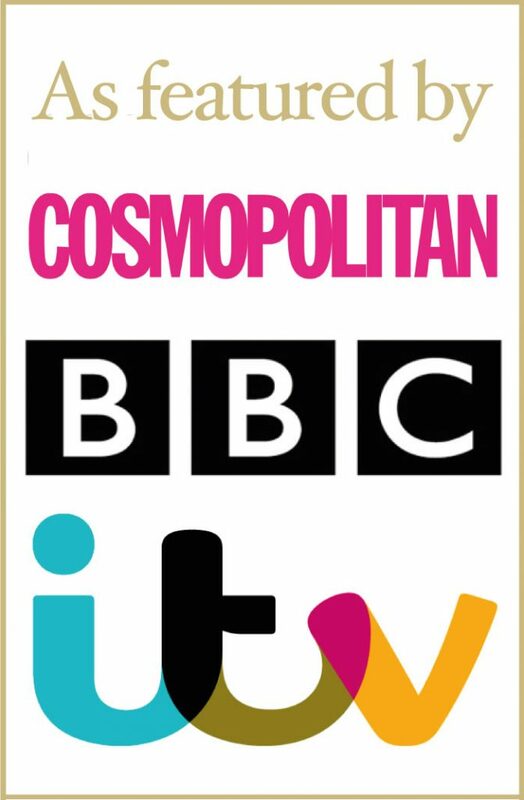 But it’s also a cosmopolitan and lively place, full of new bars, fantastic shopping and boutique hotels. It’s romantic and welcoming, and equally mysterious and intriguing – full of little quirks and idiosyncrasies that you’ll find nowhere else. It’s the city where we studied, graduated and where a handle bar spewed all over me. It’s a city like no other – our favourite city. 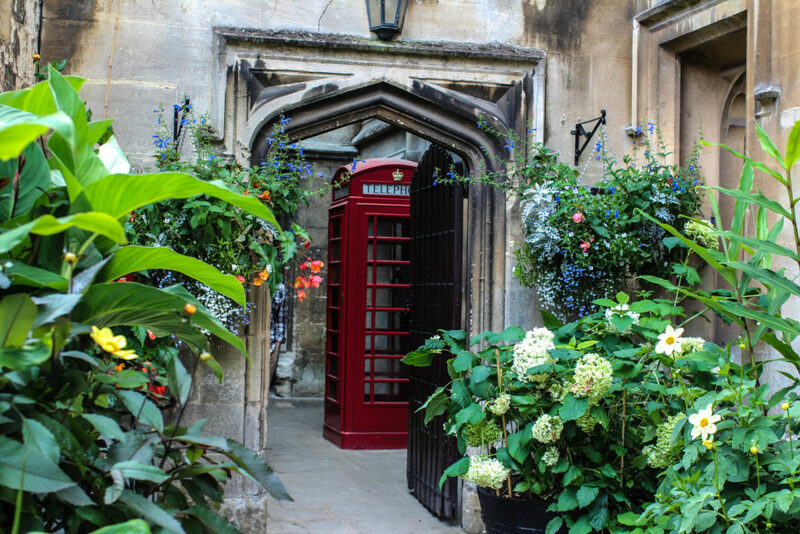 We hope that this guide is helpful and encourages you to visit Oxford. If we missed anything out, let us know below! 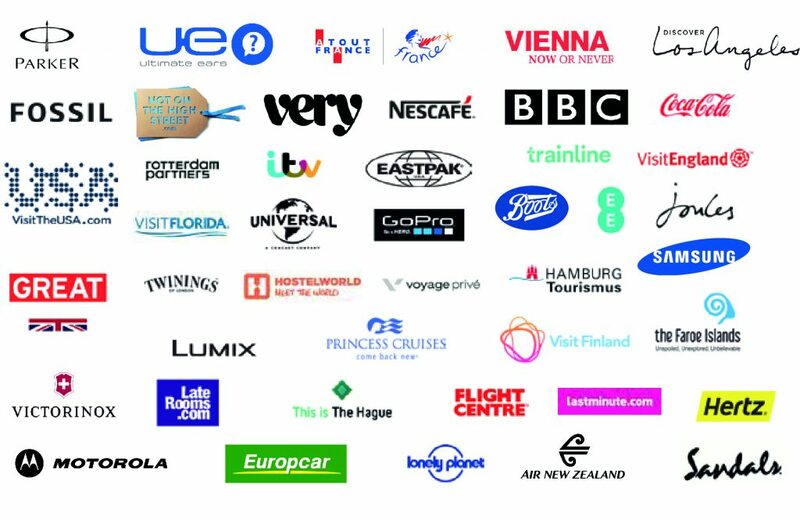 P&O Ferries want all of your fantastic suggestions. Thanks. 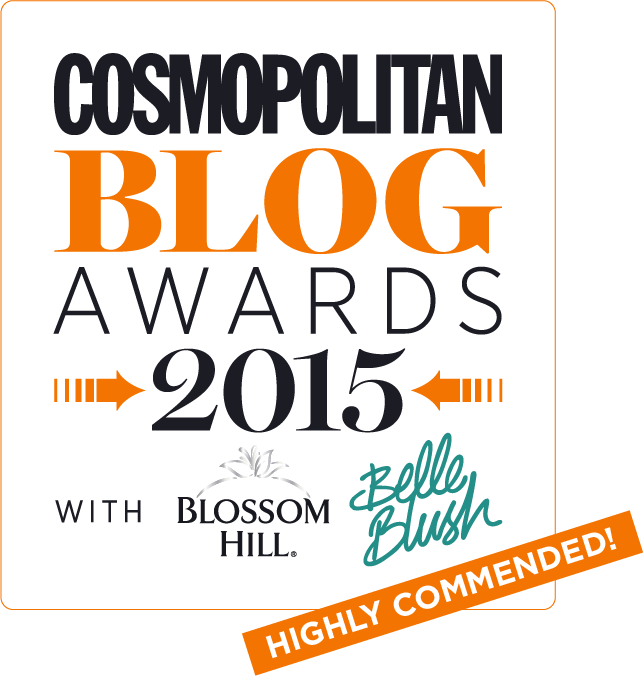 "Is this the real reason bloggers have anxiety?" 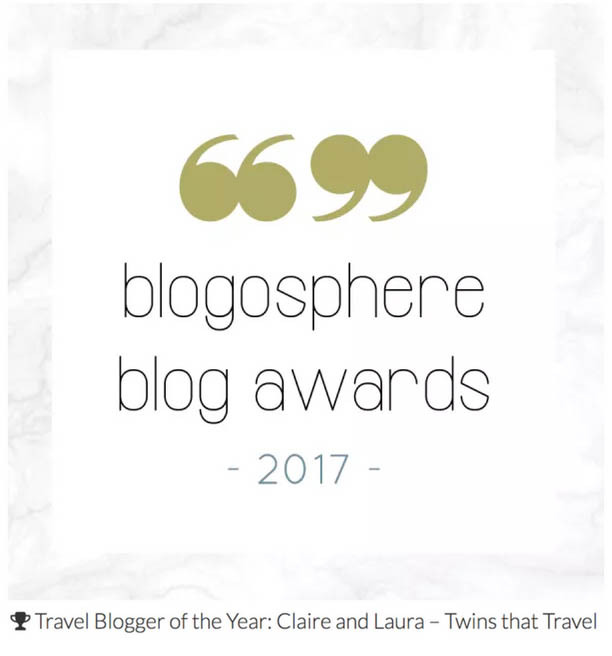 "Six truths of travel blogging"
This post made me laugh out loud! I’m glad I’m not the only who does things like trying to use a finger bowl which definitely isn’t a finger bowl! Oxford has been on my list of places to go for ages. The only time I went was for a university open day long ago (in the end I didn’t apply) so my day was filled with talks rather than exploring the city, although I did see a couple of the colleges. Do you happen to know if the Story Museum is worth visiting? Oh no to the exploding handlebar story!!! Oxford is so beautiful and this is such a useful and comprehensive guide! I’ve never actually been in the library but I’d love to pay a visit.